First, what are they? It is simply a computerized secure box that attaches to a doorknob or railing outside the house. The box is opened with an electronic key. An electronic key is assigned to a current licensed agent that subscribes to the service. When used to access a key in the key box information is stored on line about who entered and at what time. We are talking about electronic, not combination boxes. It’s the safest place to keep your key. Showings can still be accompanied by the listing agent. Agents do not go in without an appointment. With an electronic box you have an accurate record of who has been in your home and when. The boxes are programed to stop opening between certain overnight hours. Agents who have them have a current real estate license and subscribe to the service or they loose access. The boxes are safer. 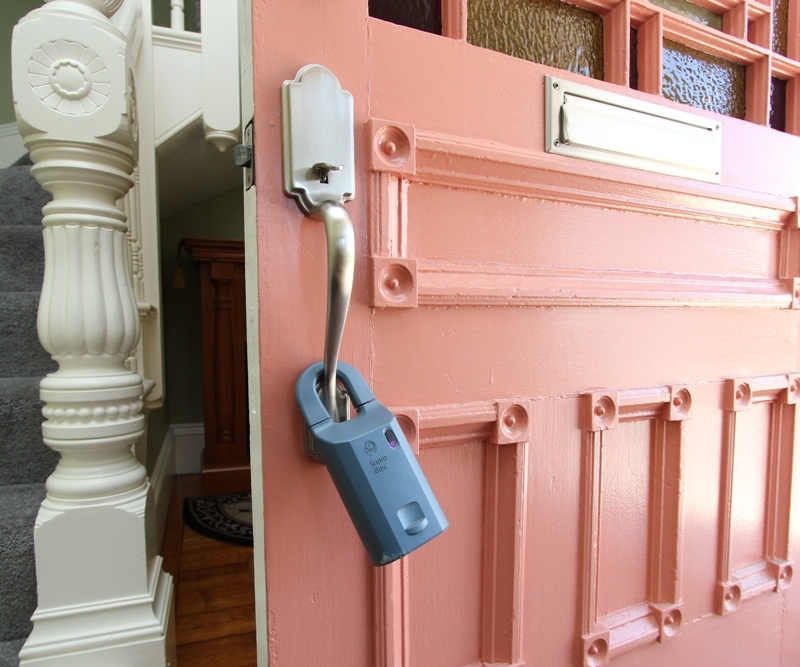 It’s easier to get into your home through a window or door than to break into the key box. The only way to open the box is with the assigned electronic key. There are no combinations or codes that can be entered. Time isn’t wasted retrieving and returning the keys to the office, if they are kept safely at the house. Don’t you want your agent spending their time selling your home? Agents that have the key boxes tend to be full time professionals that are educated and use other essential tools as well. Many of the agents that show our listings that have an electronic key box come from outside the area and work in more progressive environments. When they see we have an electronic key box they know it will be easy to get in and they make the appointment! You will be more likely to get more showings of your home. Combination box codes can be given out over the phone to agents or to people who are believed to be agents. Someone can easily pose as an agent and get access into your home. Combinations can also be given to buyers to access your home without an agent accompanying them. There is no record of an entry into your home. Someone can get access to the combination box, enter your home, place the key back in the box and you will never know. The person accessing the combination box does not need to be licensed. If the combination code is written down on something like the listing information, a note, a printed email etc. and the paper is lost or exposed (maybe the on a car seat?) the security of your home could be compromised. There is no way to control where that combination ends up. Agents can say they don’t use the electronic boxes and then proceed to hand out your key. They get passed around, they are often labeled and they get lost! A lost key can be a labeled key. We have heard many times over the years things like “does anyone know where the keys are to, (the address) are?” Oh my! I would want my locks rekeyed immediately. But you may never find out that your key is “out there”. Sometimes those keys that are floating around are put under a rock, mat or in a mailbox. Places an intruder may look. Unscrupulous people can watch were the agent is getting & returning the key and have access to the home later. Agents are arriving at your house with buyers they don’t know and may have never even met. They may get and replace the key from under that rock while “buyers” are watching. The “buyer” can then return later and gain access to your home. There is an abundant amount of misinformation about electronic key boxes and how they work, their purpose and how they are used. Often the information is being supplied by people that don’t know much about them. You can still require accompanied showings with the use of an electronic key box. Let us show you one so you can make an informed decision. In most cases we cannot recommend combination boxes or unsecured keys. Safety, security and facilitating access to ensure the best outcome are just to important. The choice is always yours….